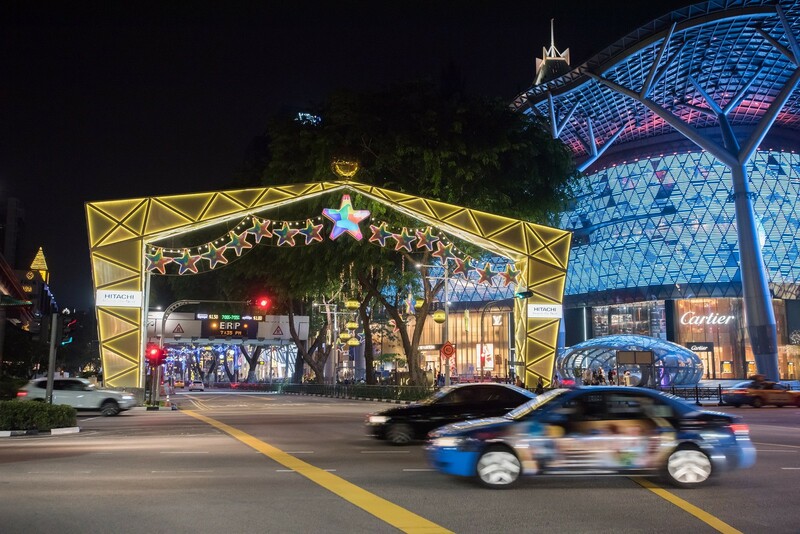 Orchard Gateway's glass skybridge is one of two overhead links among 13 malls in Orchard Road. 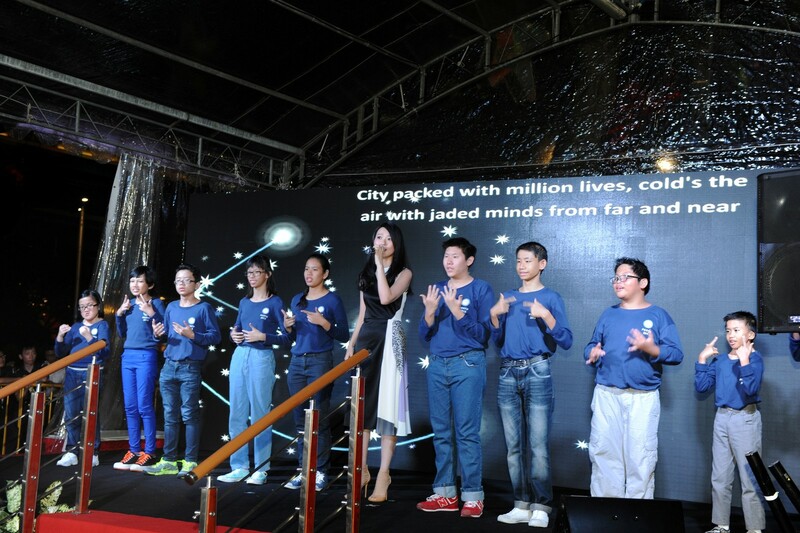 There are nine underground walkways in the area. 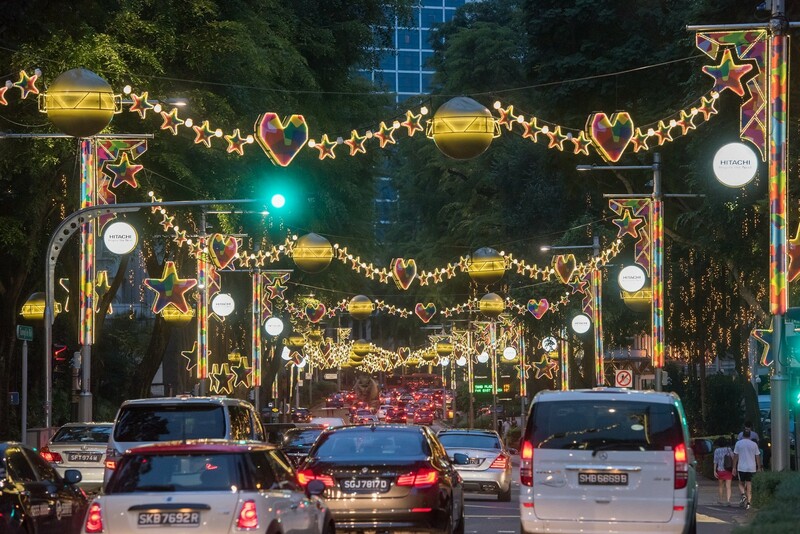 Although progress has been slower than hoped for, an ambitious plan to transform Orchard Road into a megamall connected entirely by a network of linkways is inching ahead. 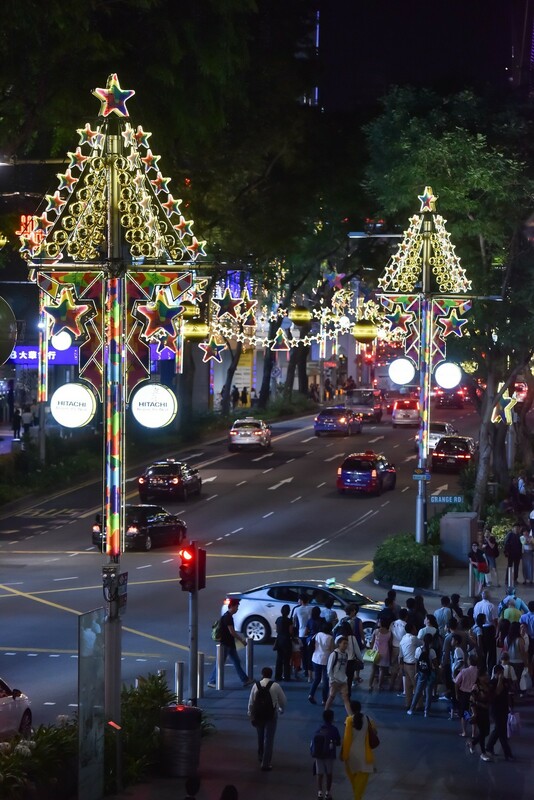 By next year, at least three more overhead and underground linkways will go operational, providing direct routes for those on foot to stroll seamlessly from mall to mall. 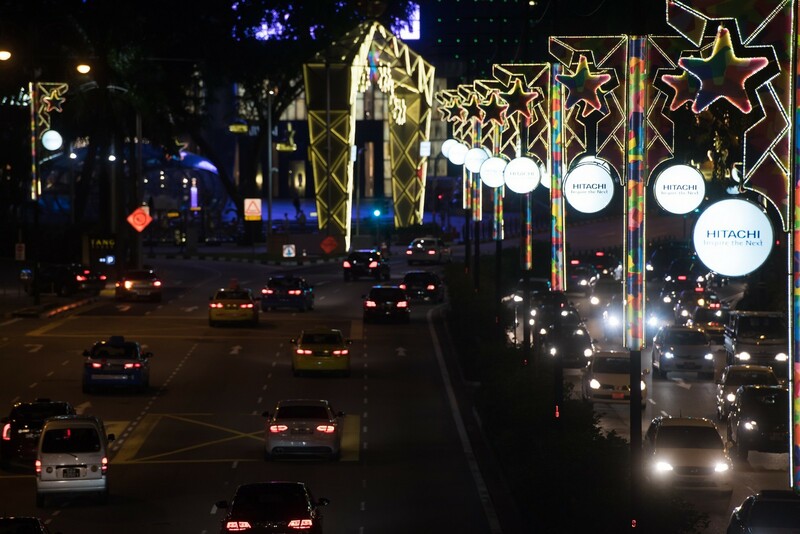 A link bridge between The Centrepoint and Orchard Point, for instance, was completed recently and will open once it is certified by the authorities, said The Centrepoint. 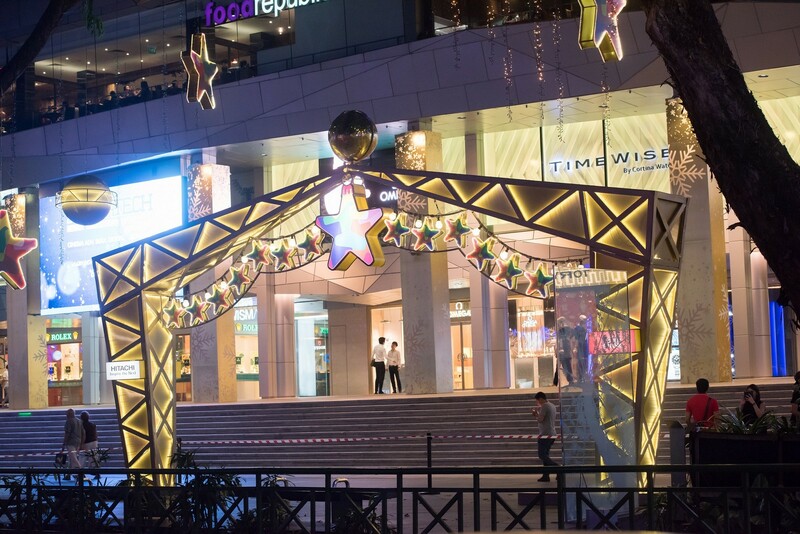 Basement and overhead walkways that connect The Heeren and the new 268 Orchard Road (the former Yen San Building) have already been built and can be used when the new mall is expected to open in the second half of next year. 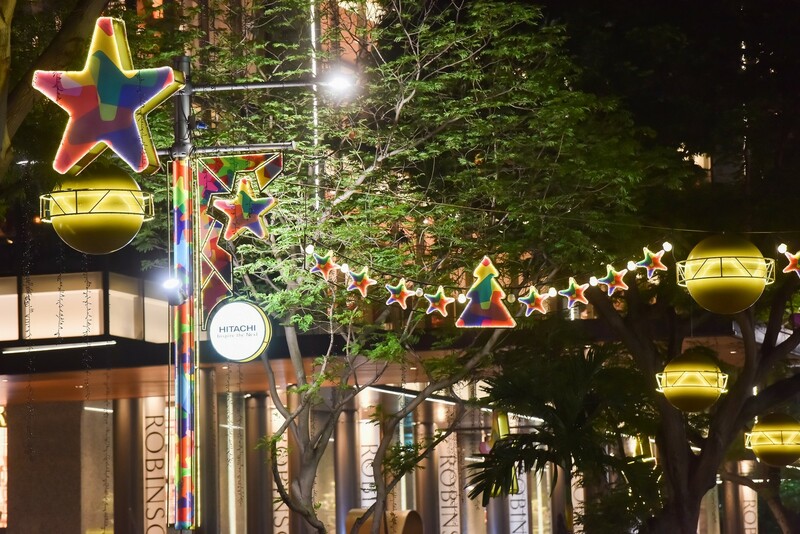 Paragon is also likely to be linked up with a soon-to-be built residential and commercial development that replaces the old Cairnhill Place carpark. 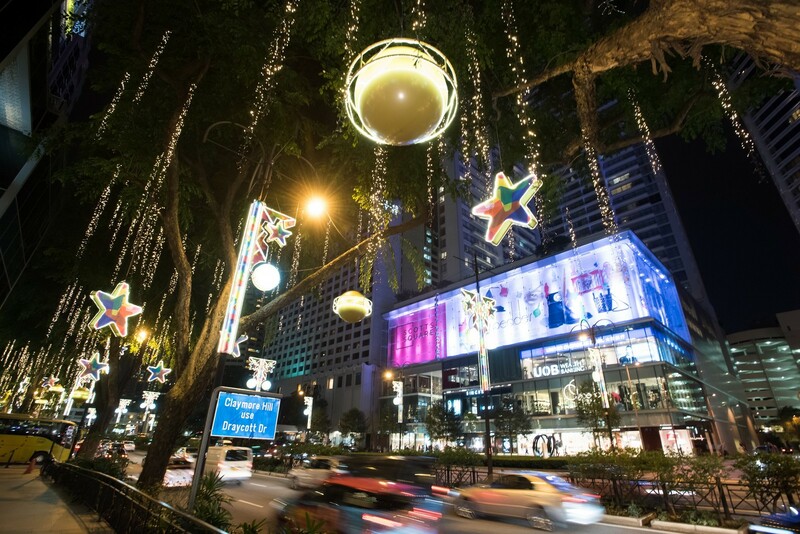 The Cairnhill property's owner, CapitaLand, told The Sunday Times that it is in talks with Paragon to build an overhead linkway. 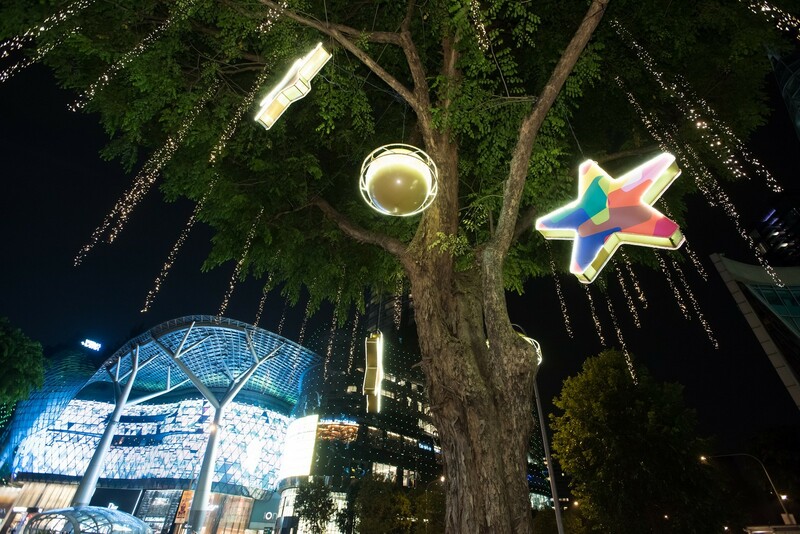 These new links are part of efforts by mall operators to revitalise Orchard Road by making the shopping district more inter-connected. 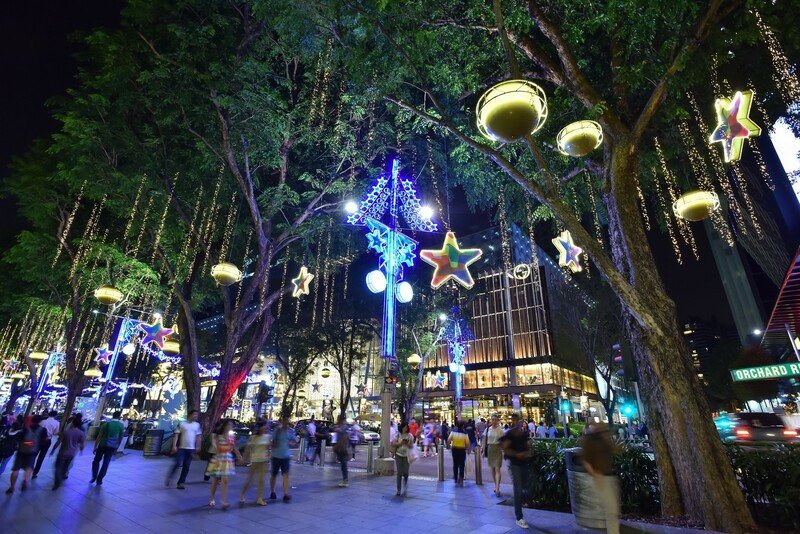 There are currently nine underground walkways and two overhead links among 13 shopping centres in Orchard Road. 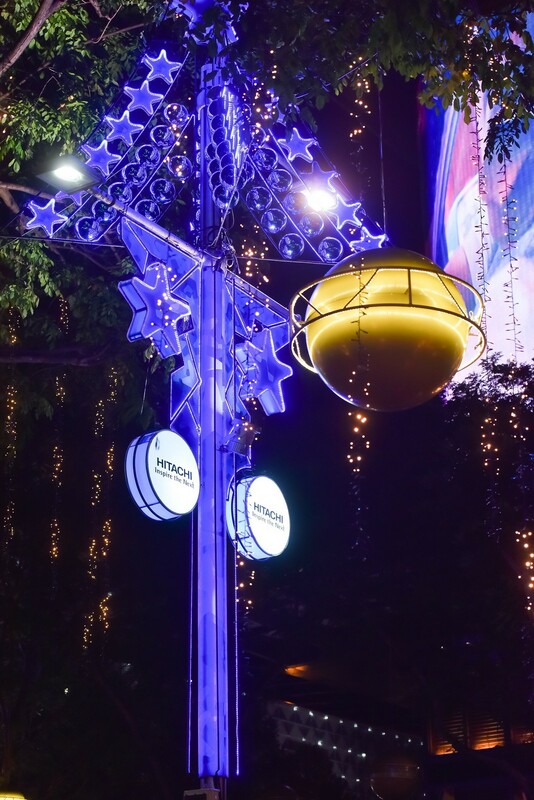 These include the first-ever Orchard Gateway glass skybridge over the main thoroughfare. 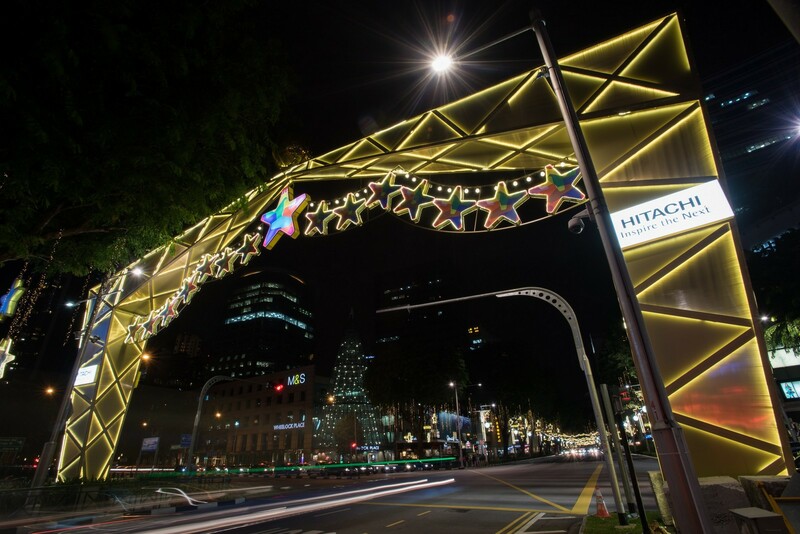 An Urban Redevelopment Authority (URA) spokesman said that the priority is to ensure that pedestrians enjoy a seamless and connected pedestrian experience, where covered walkways and elevated linkways complement underground pedestrian links. 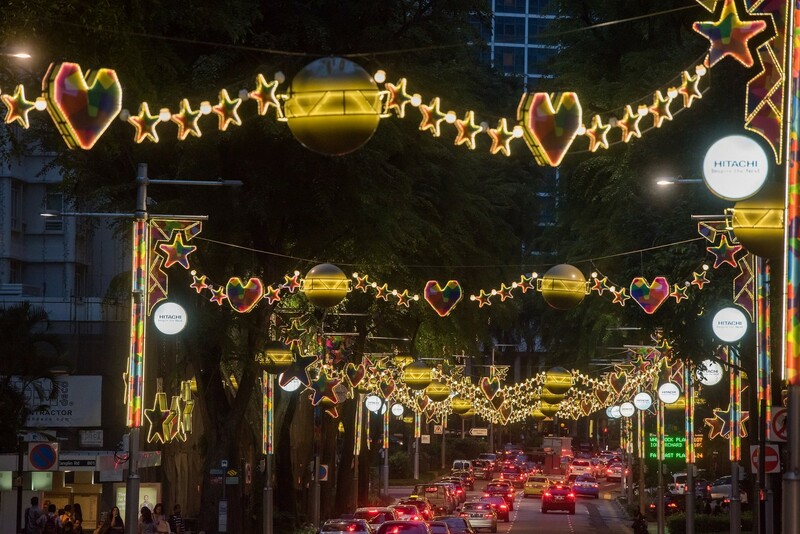 "These links create a multi-level network to enhance pedestrian connectivity and convenience,"she added. 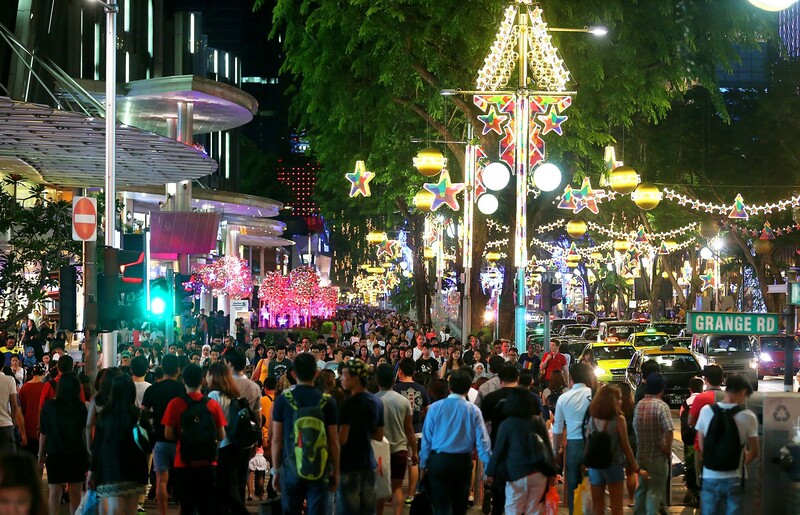 But convincing building owners to build underground in recent years has been more of a headache. 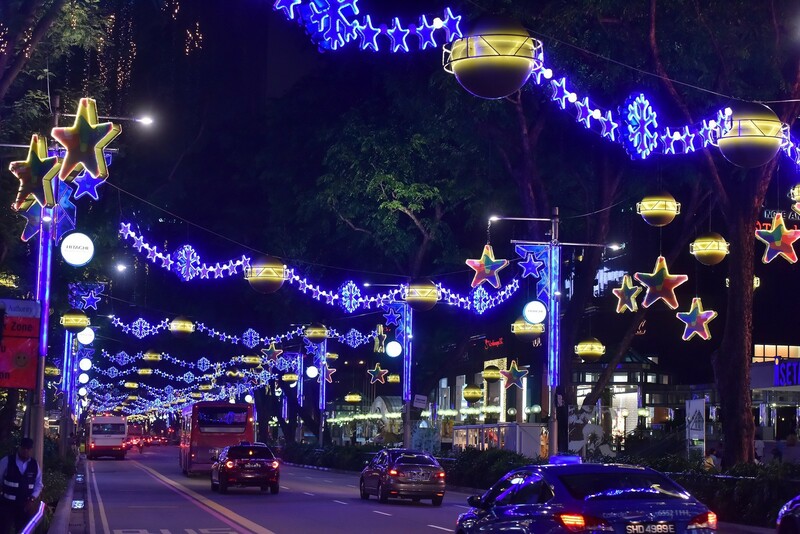 The Government in 2012 tried to persuade them to construct another 12 underground linkways, like the passages connecting Paragon, Lucky Plaza and Ngee Ann City. 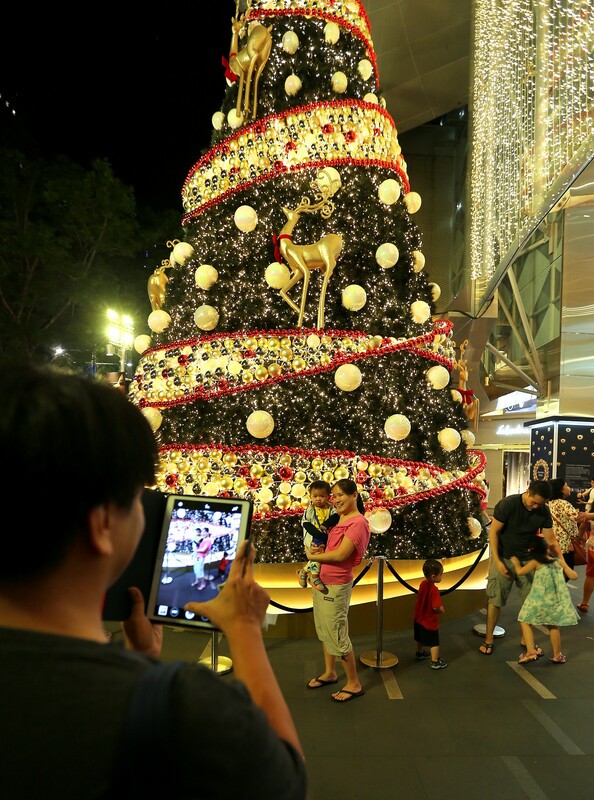 Then, URA said it would offer higher grants to building owners to do so, and would even give bonus retail floor space in the linkways. 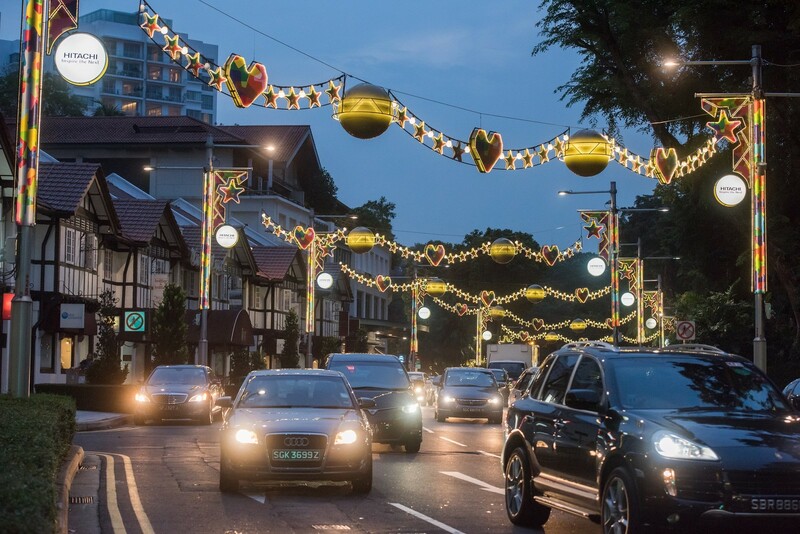 Building owners are also not allowed to redevelop or conduct major structural works for any building where the URA wants an underground linkway, unless the owners' redevelopment plans include the link. 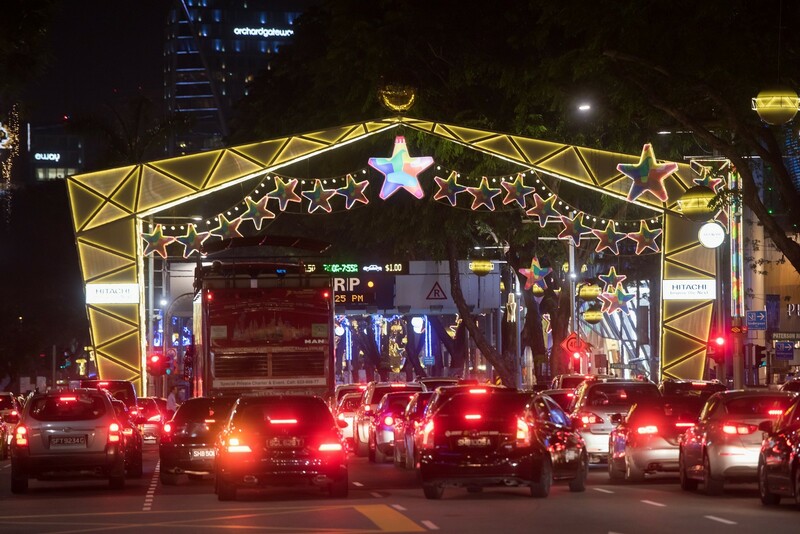 But since they cost four times more than overhead link bridges to build, none of the underground passages materialised, although more overhead ones have popped up. 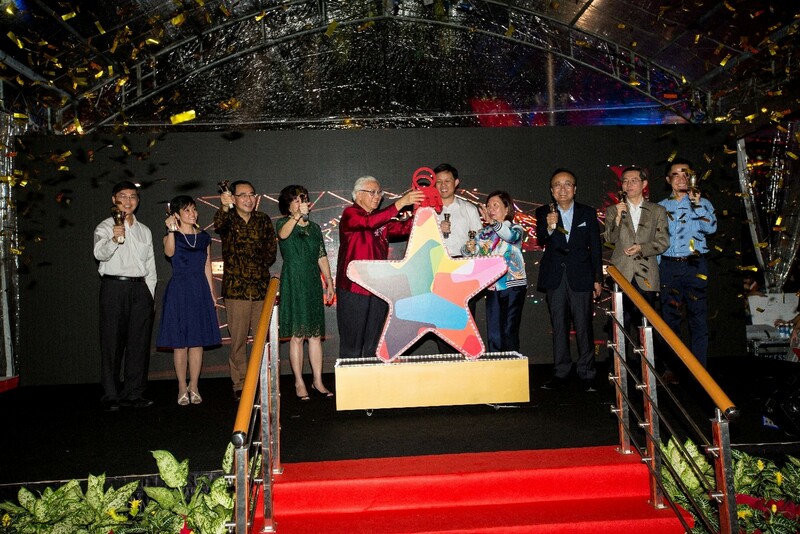 Swee Cheng Holdings, which owns The Heeren, however, is bucking the trend. 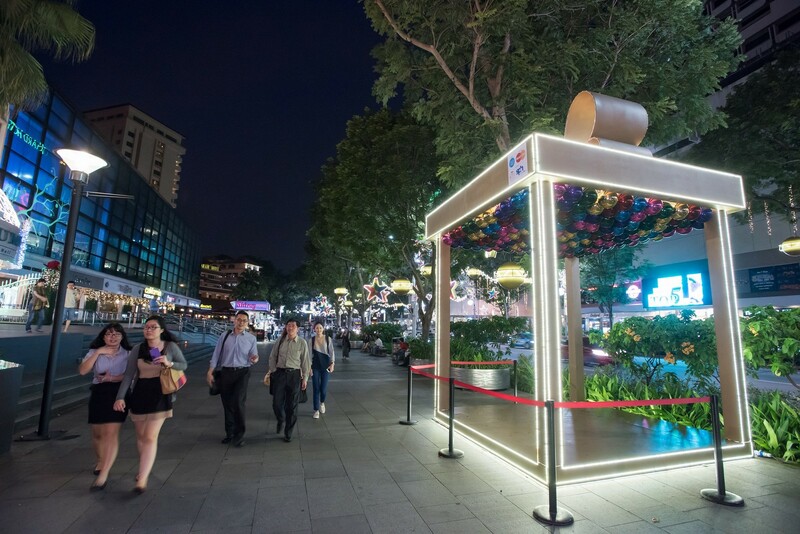 It said it has built knockout panels that can make way for future expansion of underground tunnels that can link to Faber House or even Somerset MRT station. 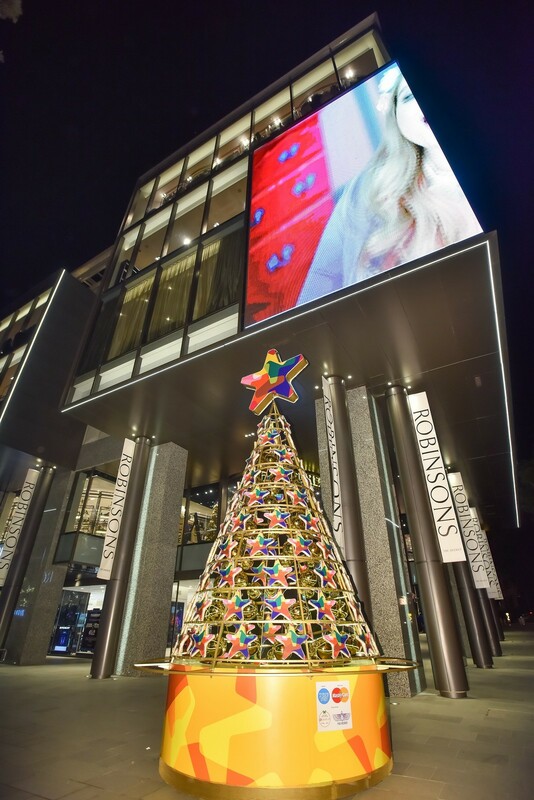 Whether overhead or below ground though, shoppers welcome being able to walk with ease from building to building. 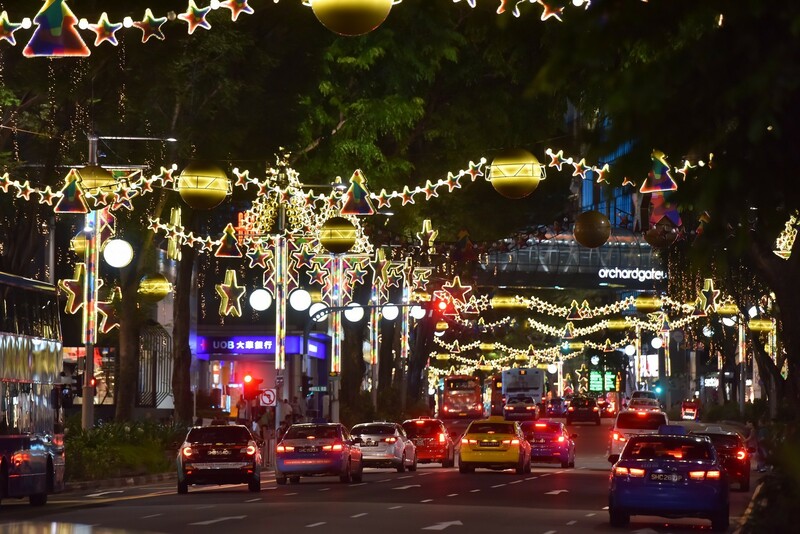 Said advertising executive Karen Lee, 38, who heads to Orchard Road at least once a week: "It will be less of a hassle to move around and I don't have to worry about the weather or jostling with people at traffic junctions or when crossing the road." 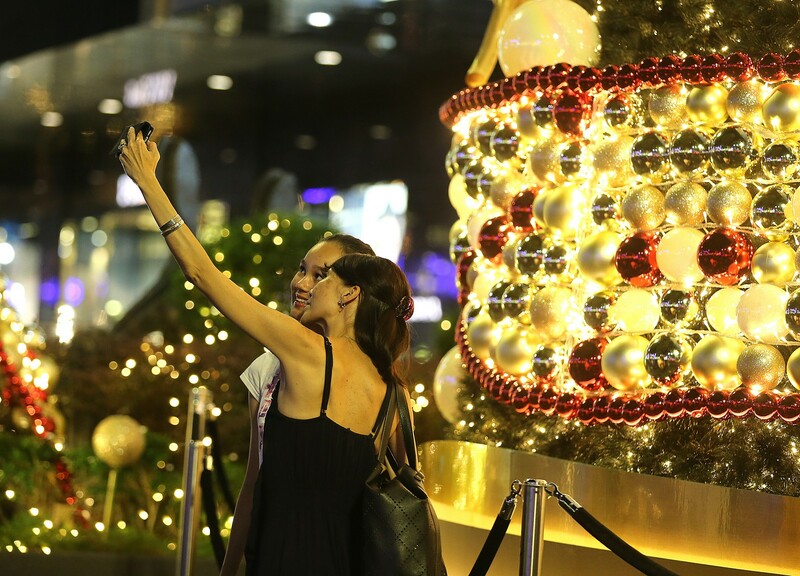 Since last week, Orchard Road has been turned into selfie land. 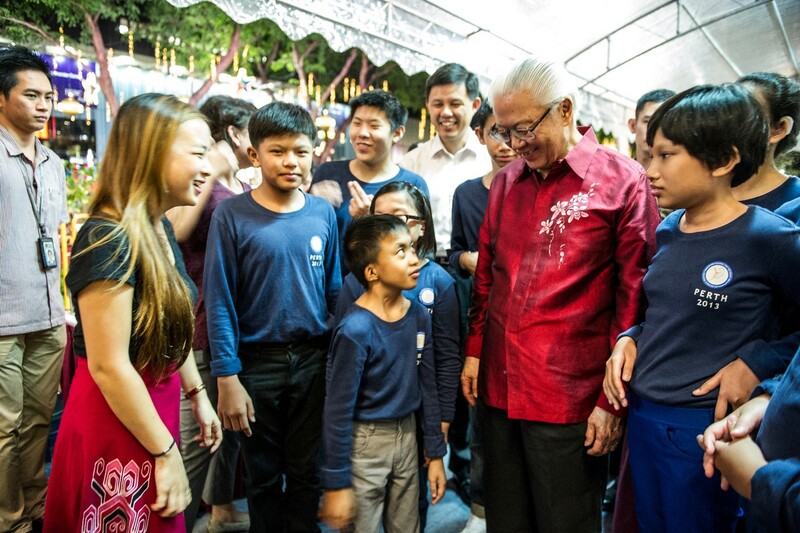 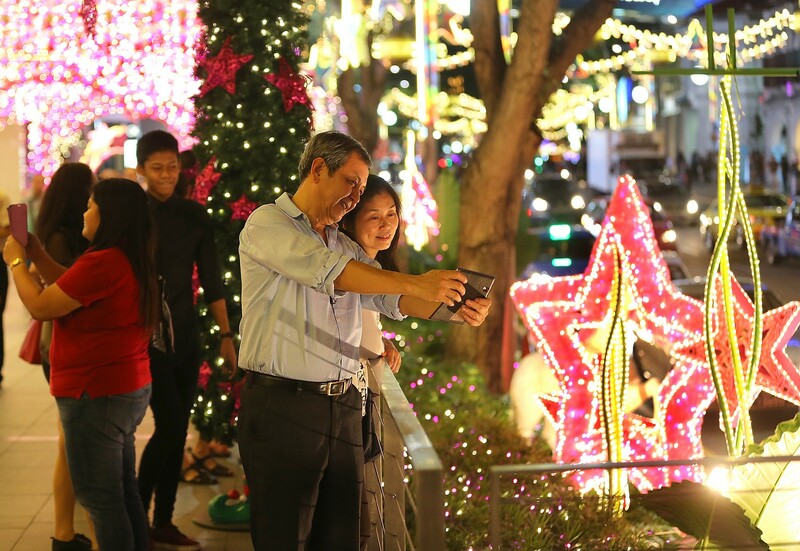 On Saturday, President Tony Tan Keng Yam officially switched on the Christmas light-up of Singapore's famous shopping street. 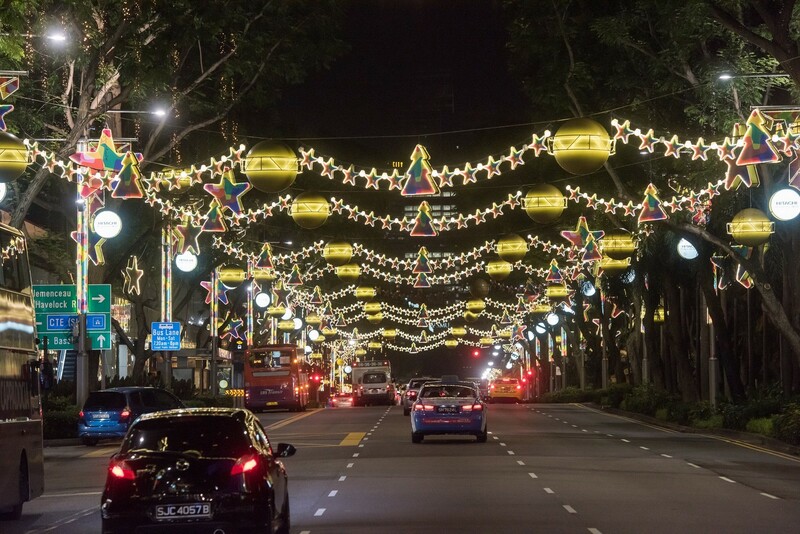 The displays stretch over 2.88km starting from Tanglin Mall to Plaza Singapura. 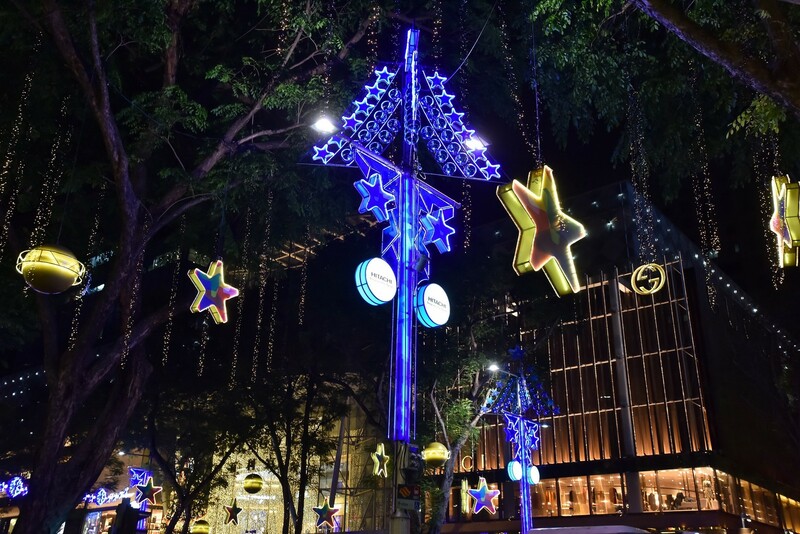 Some highlights include a 7m-tall rotating Christmas tree outside Robinsons The Heeren and a golden arch just outside Ion Orchard. 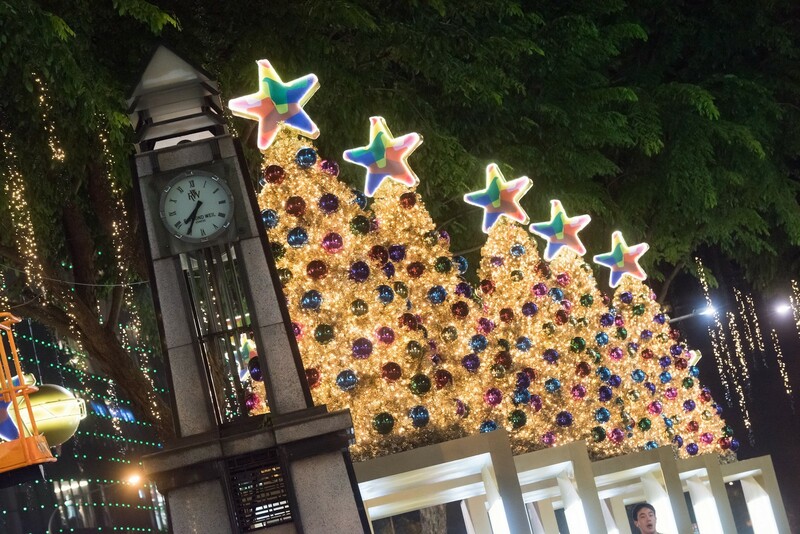 The annual light-up, which will come on every day at 6.30pm till Jan 1, is a major draw for tourists and locals alike. 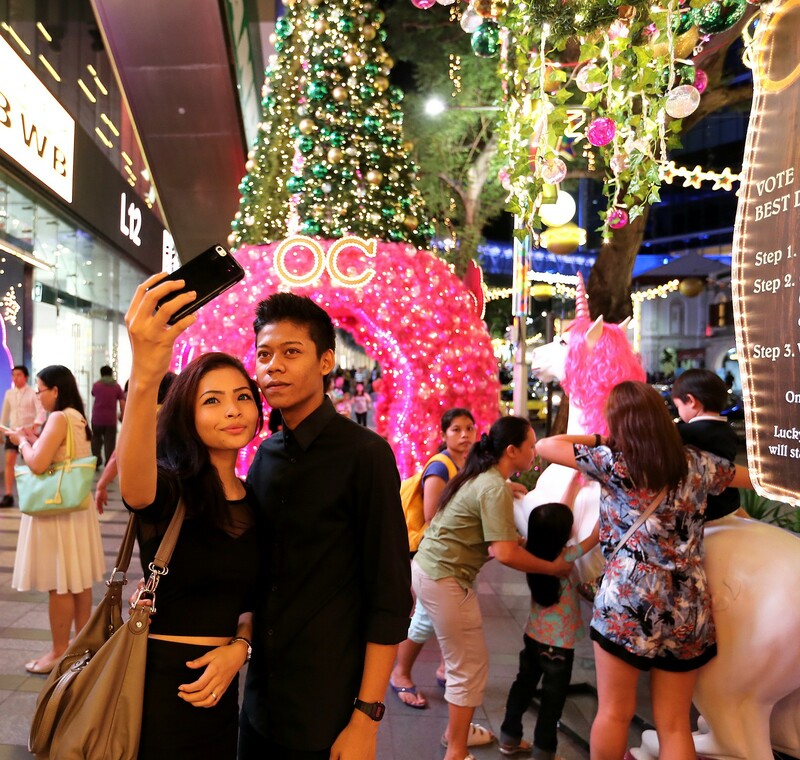 Most people were using their mobile phones to take selfies, with the decorations and lights in the background. 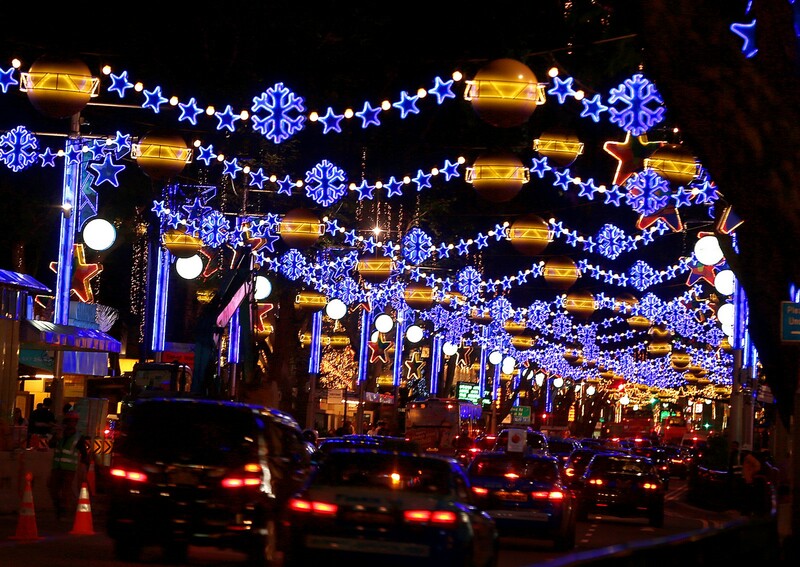 Many stopped in the middle of the road when the traffic lights were in their favour to grab their picture. 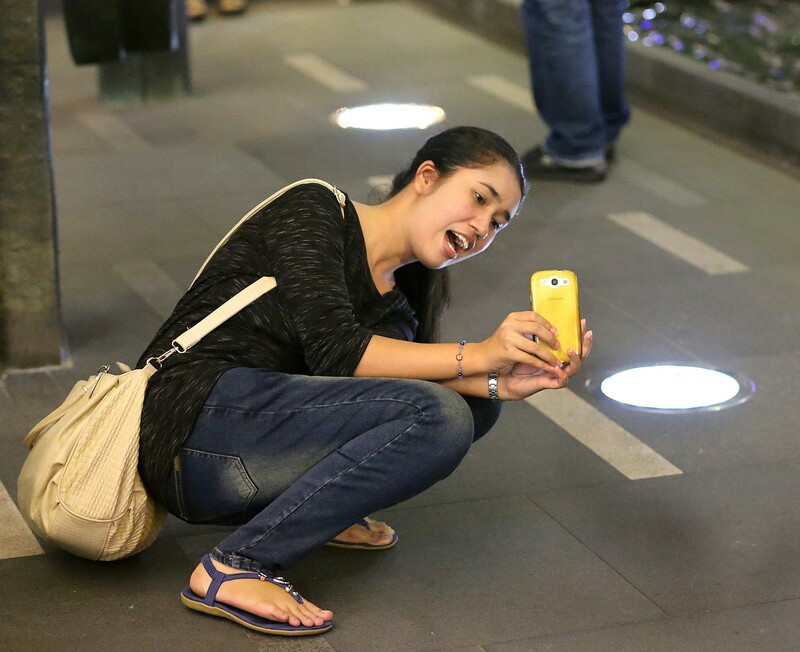 Indonesian tourist Yurisca, 25, got down low outside Wisma Atria to take a shot for her family back home. 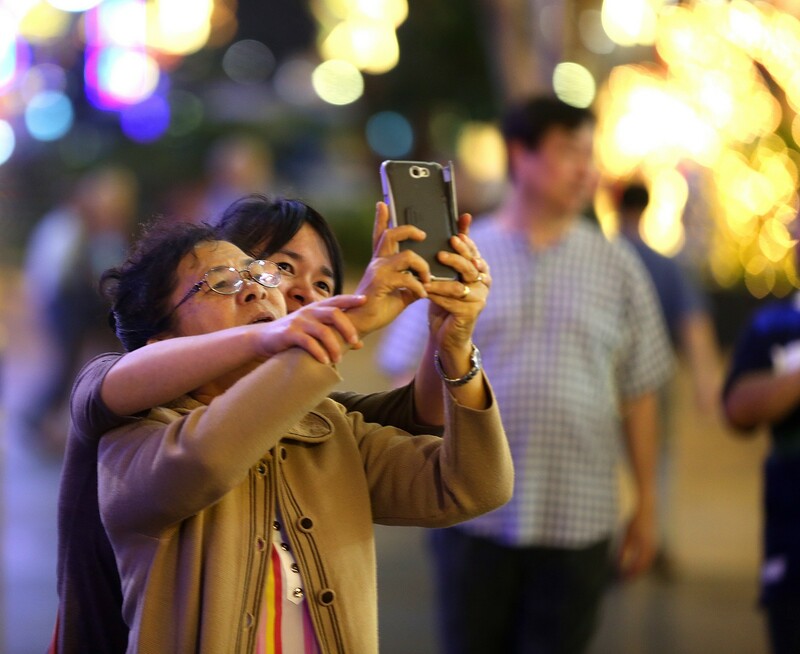 Another Indonesian tourist, Madam Irwanti, 59, said it was her first time seeing the light-up. 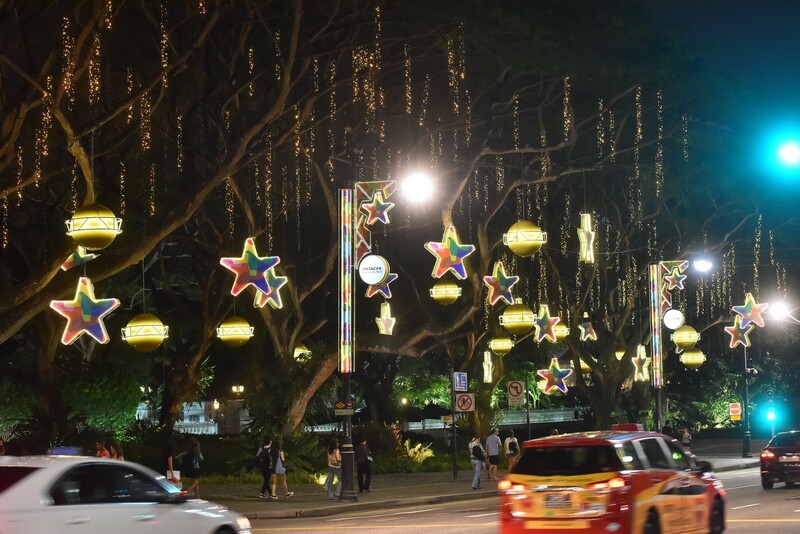 Undergraduate Joyce Chua, who was with a group of five friends taking pictures with a selfie stick, said she had been to every light-up for the last five years. 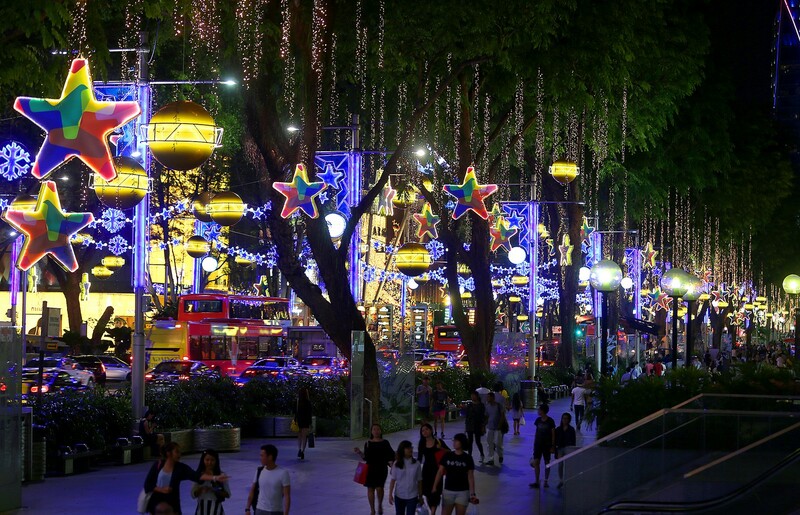 "We'll always have dinner together in Orchard Road then walk from Ion to Centrepoint," she said. 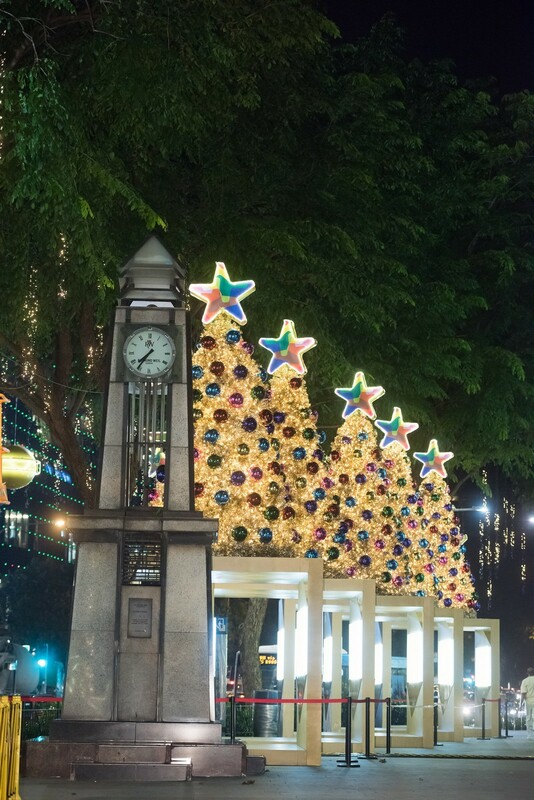 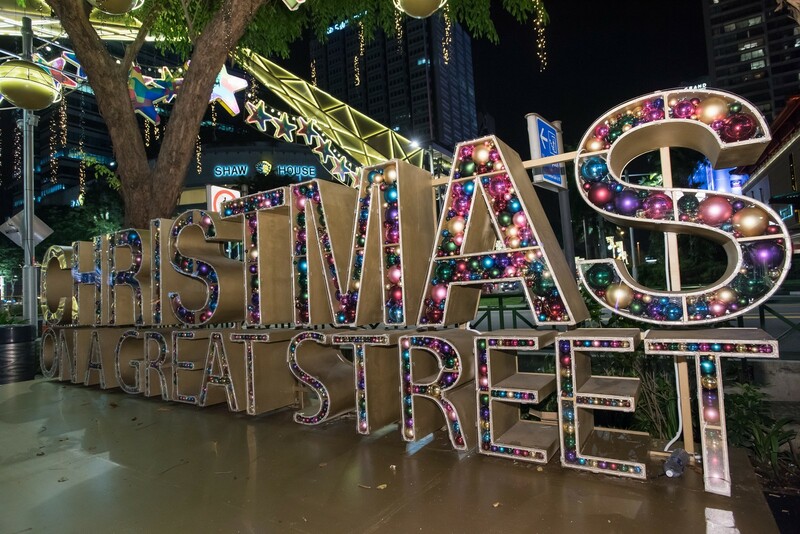 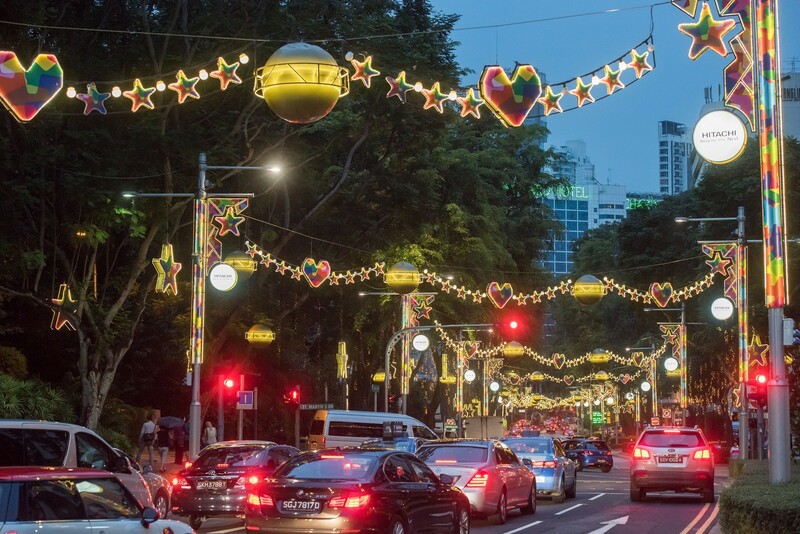 Orchard Road Business Association (ORBA) aims to give visitors an experience they will never forget with Christmas on A Great Street, the signature Light-Up that has become a must-see for Singaporeans and tourists alike. 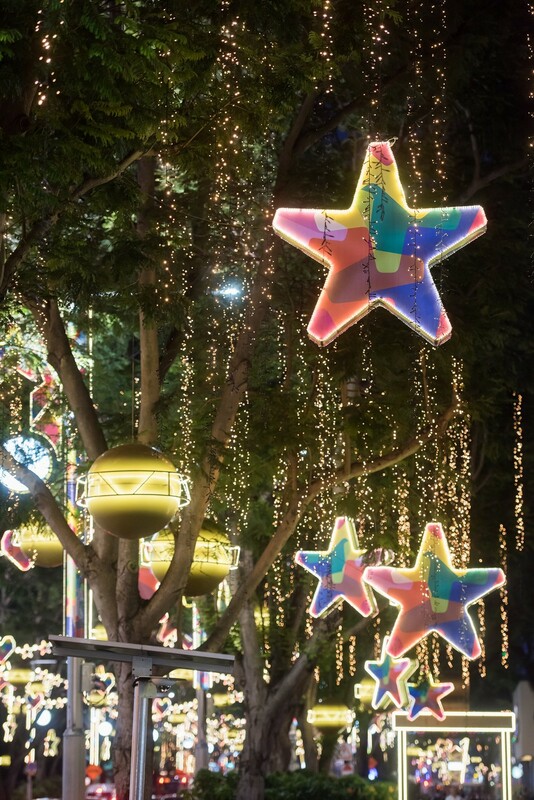 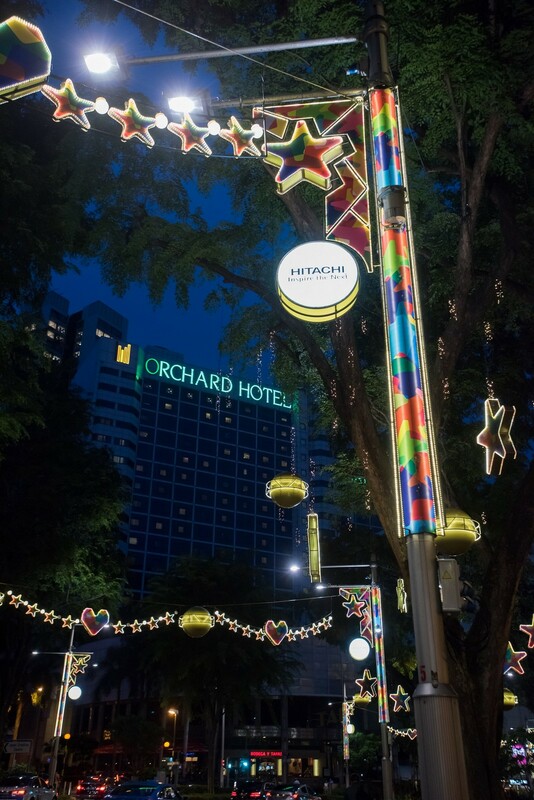 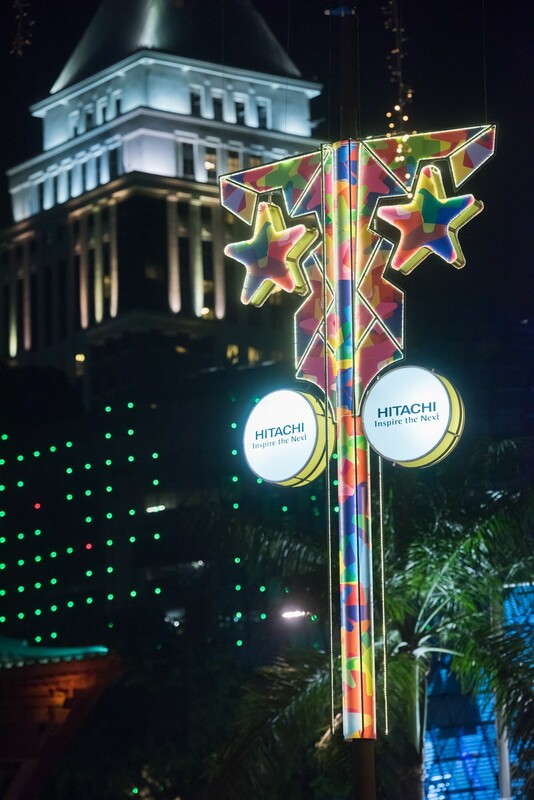 Orchard Road will transform into a starry, colourful paradise from Saturday, Nov 15 till Thursday, Jan 1, 2015 officiated by President Tony Tan Keng Yam. 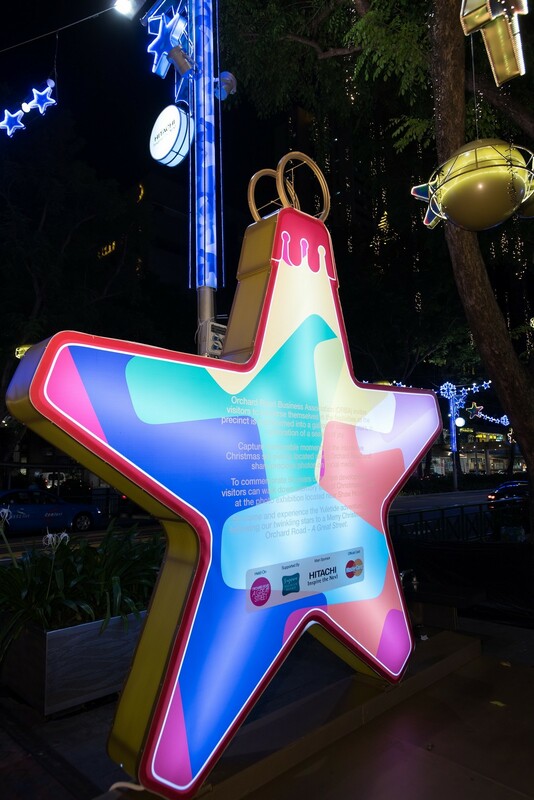 This Christmas will also see the culmination of Singapore Tourism Board's (STB) Tourism50 celebrations with two special events - celebrating Tourism50' photo exhibition and a Tourism50 themed 'Pedestrian Night on Orchard Road'. 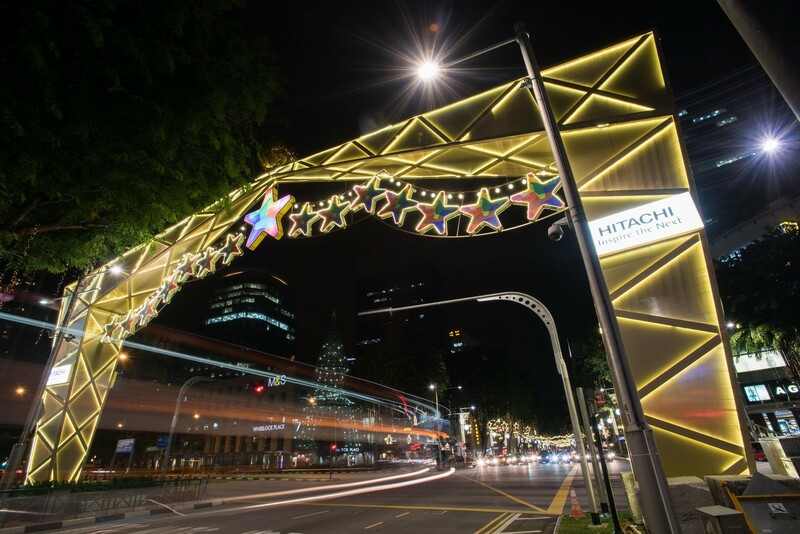 The nostalgic photo exhibition in front of Shaw House Urban Plaza will be launched in tandem with the Official Light-Up Ceremony. 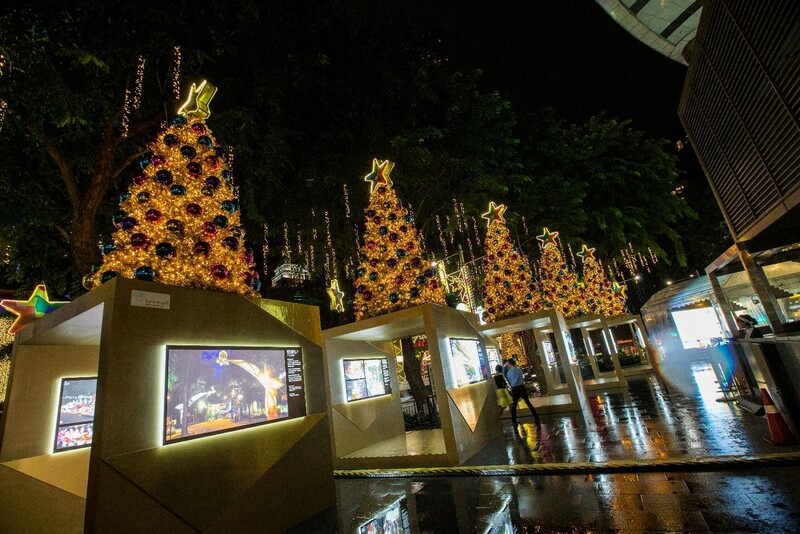 The exhibition captures memories of past Christmas celebrations along Orchard Road since it began in 1984. 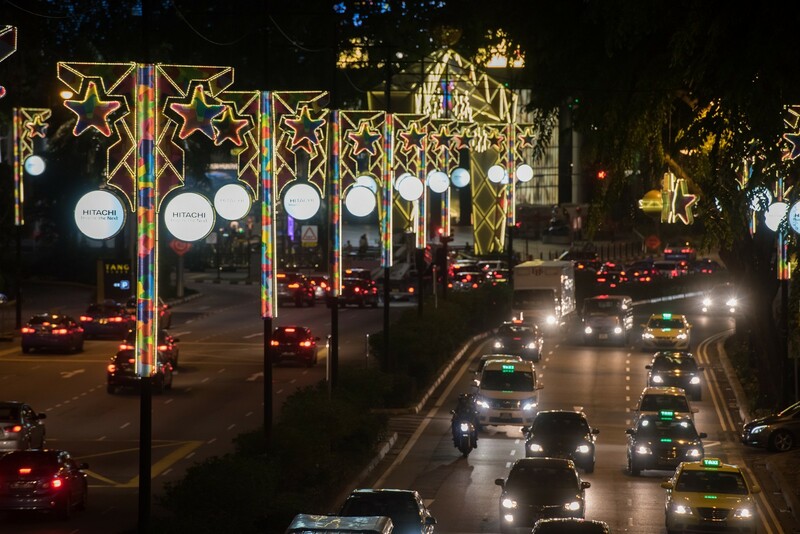 It will run till Thursday Jan 1, 2015. 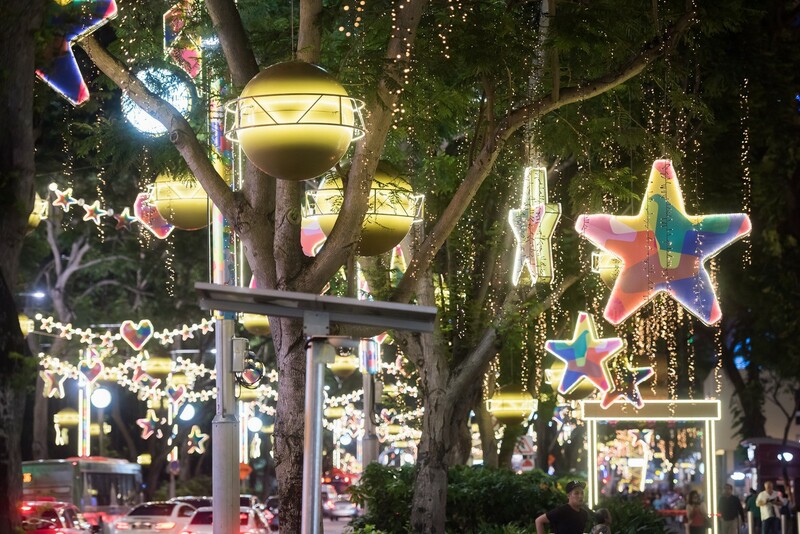 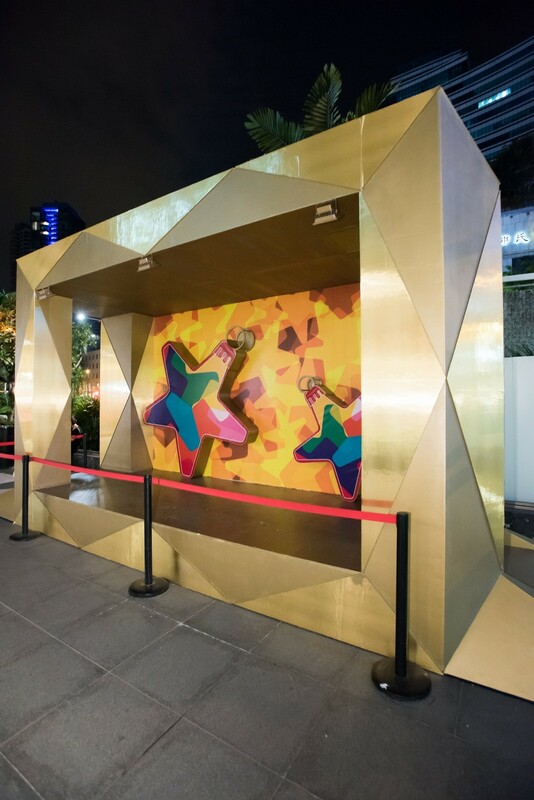 On Saturday, Dec 6, visitors can revel in an outdoor festive carnival for the third instalment of 'Pedestrian Night on Orchard Road'. 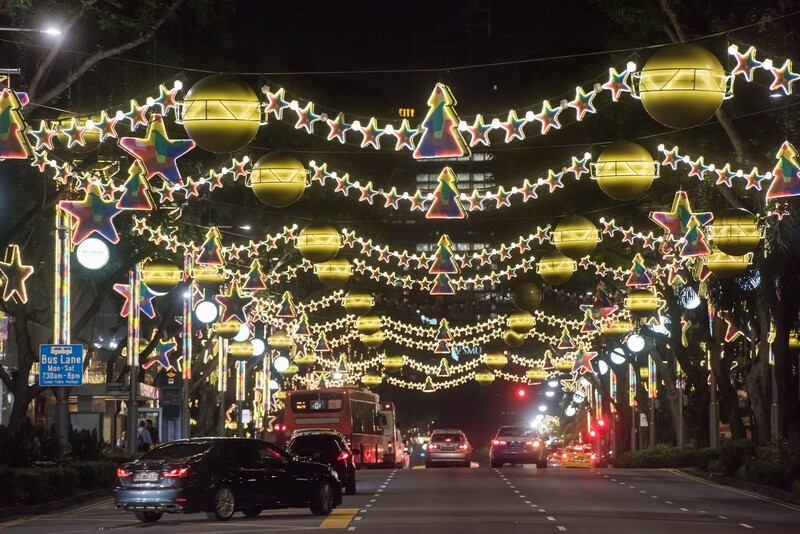 Leading up the Christmas Day, special performances and activities will feature along Orchard Road from Thursday, Dec 18 to Tuesday, Dec 23. 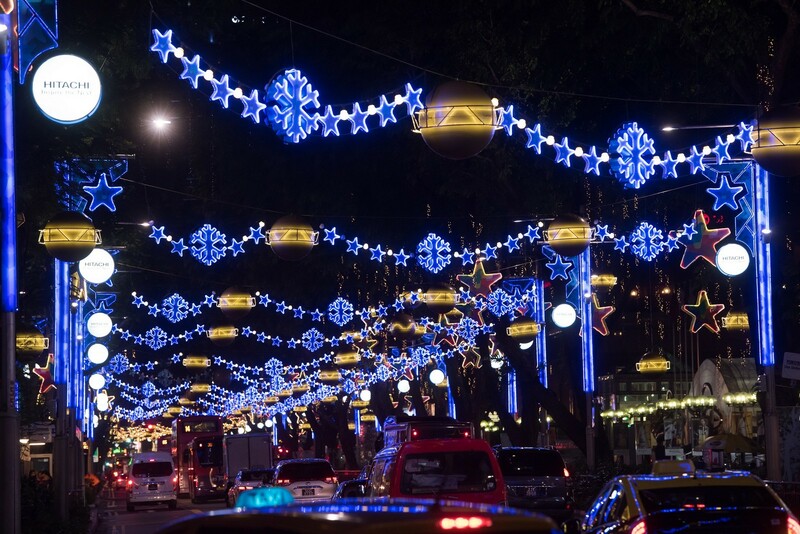 On Christmas eve there will be a mass carolling performance from 7pm in front of Tong Building and a concert on Christmas Day where the stretch of road from Scotts/ Paterson junction to Bideford road will be closed to vehicular traffic. 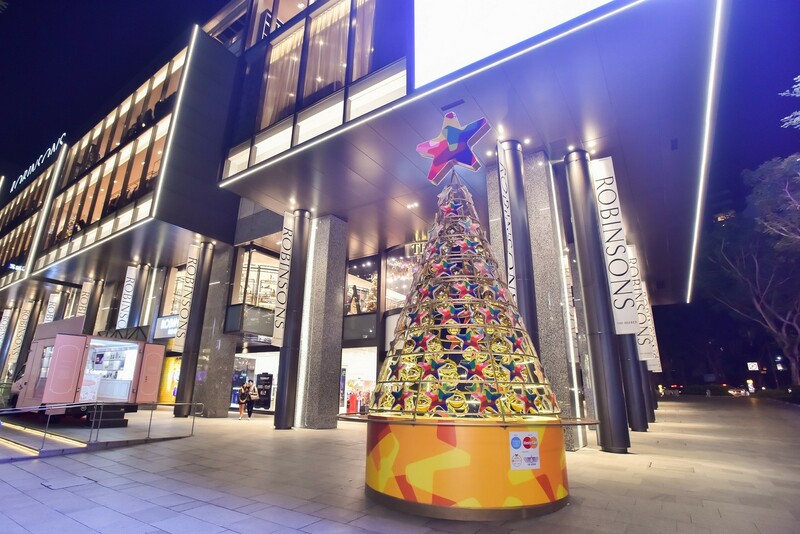 12 shopping malls are also taking part in the 'Best Dress Building Contest' where there will be a 'Voters' Choice Award' as well as the 'Judges' Choice Award'. 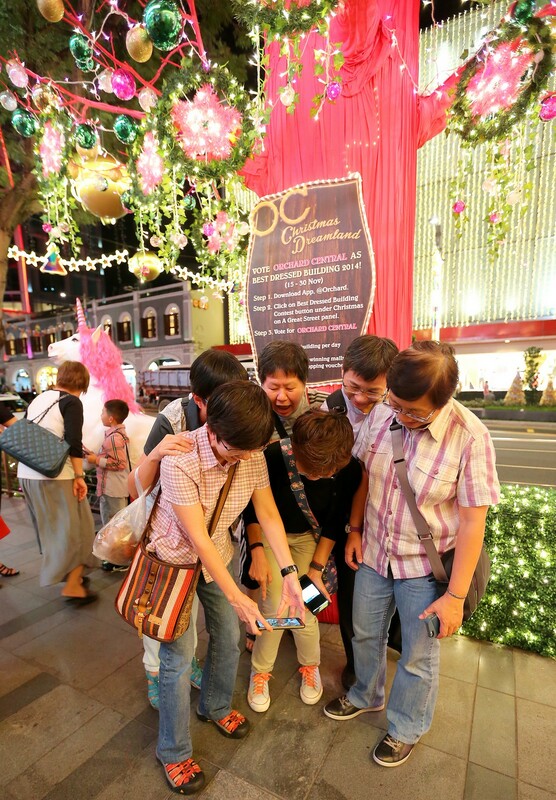 The public can vote for their favourite mall between Nov 15 to Nov 30 by downloading Orchard Road's free mobile @Orchard app. 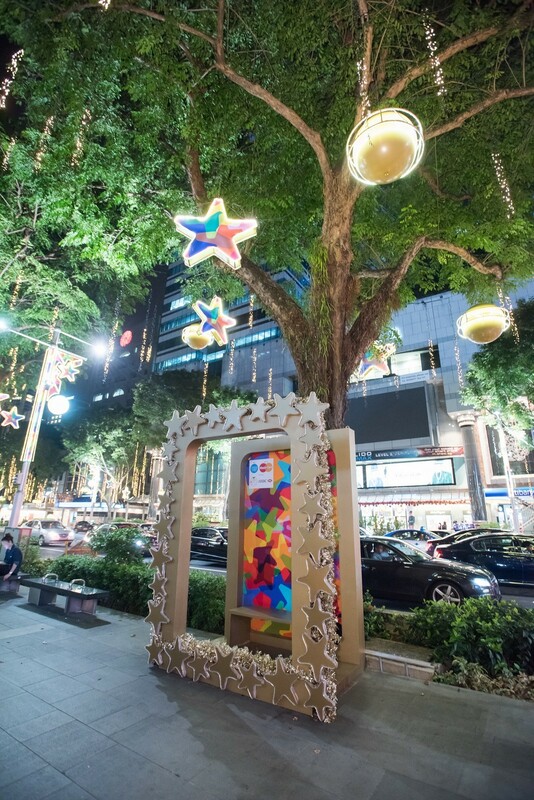 ORBA has also offered its iconic Christmas set pieces to Community Chest as a fundraising platform. 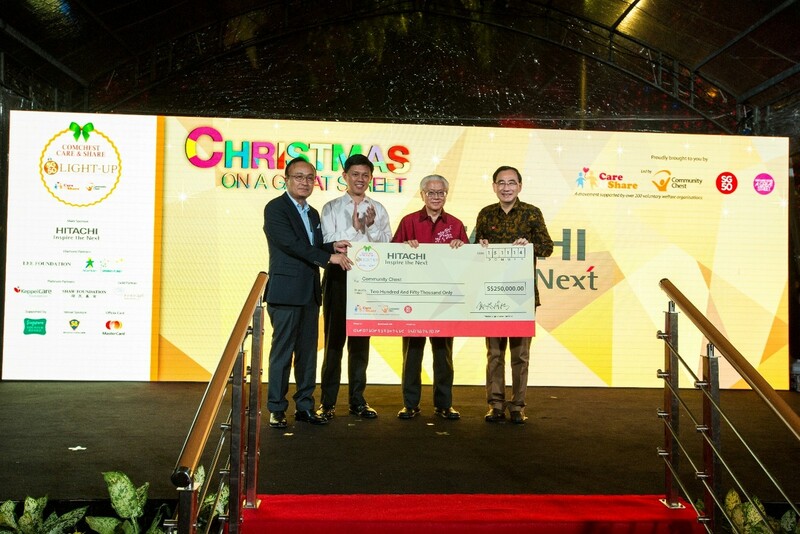 With the government's pledge to match all donations dollar-for-dollar, this initiative has raised close to $3 million to benefit the social service sector.